Holistic Counselling and Process Orientated Psychotherapy? I have been training in a new and deep approach to finding health and well being through a form of Holistic Counselling and Psychotherapy called Process Oriented Psychotherapy. (Yes, it’s quite a mouthful:). This post explains why this is hugely important for recovering from chronic ill health and why it offers a paradigm shift in the way we approach psychological issues. Why Can’t I just get Better? Sometimes you come across something that just resonates with you. Maybe you resonate with it because you need to it for yourself? Sometimes it resonates as it just makes sense. As an experienced Homeopath, I have been seeing patients for over a decade and as with many other Homeopaths, our holistic and powerfully effective approach attracts those seeking solutions to chronic and long term health issues. Now this means that the client in front of me most likely has a complex array of mental and emotional symptoms, as well as physical ones. As the Homeopathic approach is always holistic, we purposefully and carefully treat all these symptoms but reasonably often the client requires support both Homeopathically and also psychologically. Here in Australia Psychologists are readily available, but after years of referrals that sometimes worked out and sometimes did not, I found I was looking for a different approach. One that looked at the client in the same holistic way that I do and could compliment my homeopathic work. This means it had to be something that worked on a deeper level than the conscious mind. A few years ago I came across a form of Holistic counselling called Process Oriented Psychotherapy and I will explain what it is here, and why I am now using it in my clinic. Process oriented Psychotherapy or Process Work (PW) as it is known, started in the 1970s. It was developed by a physicist called Arnold Mindell who had trained as a Jungain therapist and saw that as integrated beings we need a more fully integrated approach. Modern Process Work combines theories of modern Physics, with Taoism and Jungian Psychology. It also combines the learning from many successful approaches to psychology such as gestalt and psychodrama. As I do not want to bore you with long theories here, I will just touch on a few of the key theories and then explain what it means for you as a client of Process Work. This is the idea of following nature. The PW therapist does not have an agenda for your counselling session and they approach each session with a ‘beginner’s mind’. This is important as it allows the session and what happens to be guided by the client and their process. The premise is that the process of the client is guided by the unconscious mind and therefore when we allow this process to unfold it knows what it needs and what it needs to express. There is a great unconscious intelligence that is untapped within us, and when we are guided to step out of the way we can often learn some extraordinary things about ourselves! Amongst other concepts PW works with the quantum physics concept of the ‘Uncertainty Principle’. Within the therapy setting this means that the role of observer is very important as it means that what is observed is determined by who is observing and the method of questioning. We also know from the chaos theory that small variances in initial conditions produce vastly differnt outcomes. So the relationship and interaction between client and therapist in each session is vitally important. Amongst other things Jungians believe that the unconscious is benign and in Process Work we use a teleologocal approach which means that events are striving towards a meaningful and purposeful goal. This means that small things are also important and that synchronicities (when seemingly unrelated events are connected) are taken note of and worked with. In essence PW is an awareness model. The therapist works to be aware of many things that are occuring for the client even when they are occuring out of the client’s current awareness, whilst simultaneously maintaining awareness of their own process. This self awareness is very important as it means the therapist is at all times striving to be aware what is their own process and what is the client’s. So how does this work in my practice? If you have worked with a Homepath you will know that we use counselling skills as part of our natural consultation and healing process. Although I use some Process Work within my consultations I also offer a combined Homeopathy/Pocess Work package of one monthy Homeopathic consultation and three hour long Process Work sessions. I also see clients for individual counselling sessions without Homeopathy if they so wish. Process Oriented Psychotherapy and holistic counselling will work for anyone who needs a form of talking therapy. But it works especially for those with chronic health issues that they just cannot seem to heal. In my practice I see people with chronic ill health and or depression and also those who are lost on their way in general, and need to get back in touch with themselves and their path in life so they can move forward with greater awareness and empowerment. Most psychological work and counselling approaches the mind and emotions as a pathology that needs to be helped to be healthy and more balanced. Process Oriented Psychotherapy does not start from this premise but rather accepts that there is an innate intelligence in the subconscious and that this is requiring expression through our behaviours, dreams and chronic physical symptomology. If we as a therapist follow this expression, it will lead to clarity, peacfullness within the cleint and above all greater integration and awareness of themselves. It could also assist healing of long standing physical complaints! I will be writing a further post on some of the key practical concepts used in a Process Work session and am happy to explain further if you want to contact me. Sam, I truly appreciate your presentation about holistic counselling. 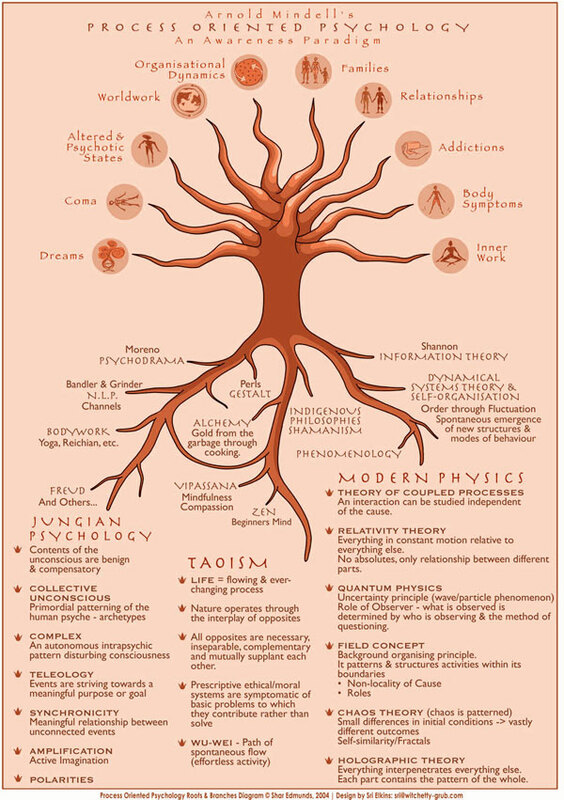 Yes, holistic counselling goes back to the roots of the problem. From divergent approach in seeing the problem, it will unify and converge by using both secular psychology and spiritual psychology. In holistic counselling, the two schools go together. It should not be separated because when the Absolute Sovereign Person created humanity there is already a physical and spiritual nature attached with us. A man is “Imago Dei”– created in the image and likeness of GOD. When a man tries to separate the “spiritual” and “physical” aspect of man, chaos and various problems in man’s lives begins. That is why in holistic counselling we guide the individual to discover the roots of the problem. Holistic counselling will not just focus on the symptom of the problem, but the root of it by doing the process work.